Simply elegant on the foot, designer Ros Hommerson’s black “Joyce” pump dresses up any outfit. Leather uppers have full leather linings and a dramatic toe cap of high-shining patent and reptile-print leather. 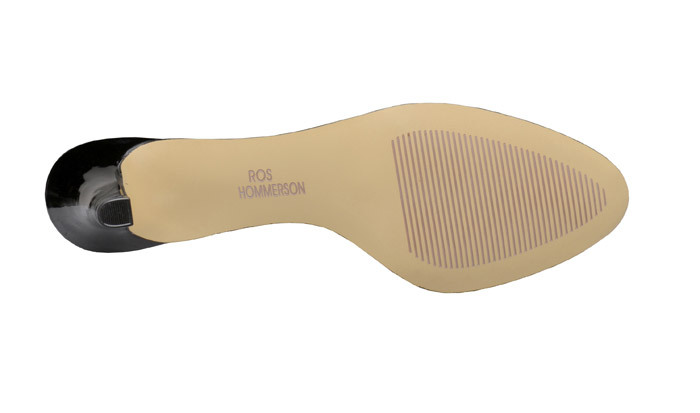 The leather-topped insole is deeply cushioned with Memory Foam. Trim 2½-inch heel. Originally $119.95. Limited stock in women's in 2E width in sizes indicated.